It’s WET. It’s WILD. Fun for the entire family! 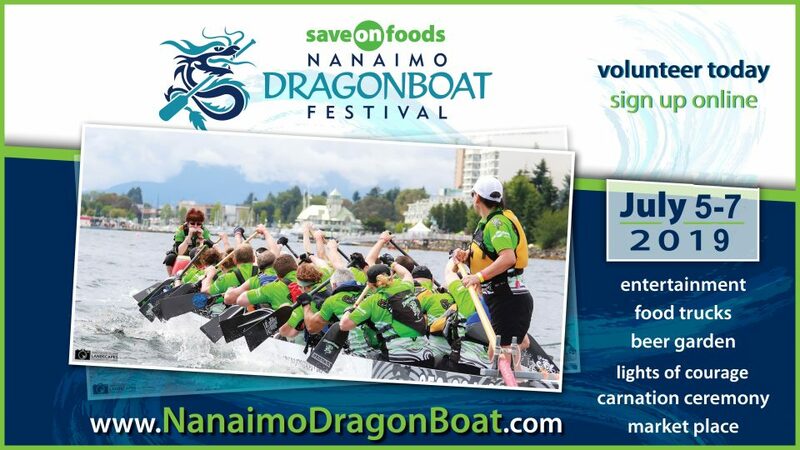 Save on Foods presents the 17th Annual Nanaimo Dragon Boat Festival July 5, 6 & 7, 2019, at the spectacular Maffeo Sutton Park. Come down and cheer on up to 72 dragon boat teams from the Island, Western Canada and U.S. “It’s the top draw, it’s the number one,” note the Nanaimo Hospitality Association. Take the time to stay for the food trucks and market place, Carnation ceremony, Longwood Brewery beer garden, and entertainment. NEW: Lights of Courage paper lanterns with a tag where you can add a message of hope or remembrance will be on sale @ Nanaimo Save On Foods stores in June and on site during the Festival weekend. All proceeds go to the Nanaimo Community Hospice.